this morning was my last chance to enjoy melbourne’s cafe scene for a few weeks. i’m heading overseas for a quick holiday later this week and whilst i absolutely love america, it is not exactly what i’d call a culinary heaven. 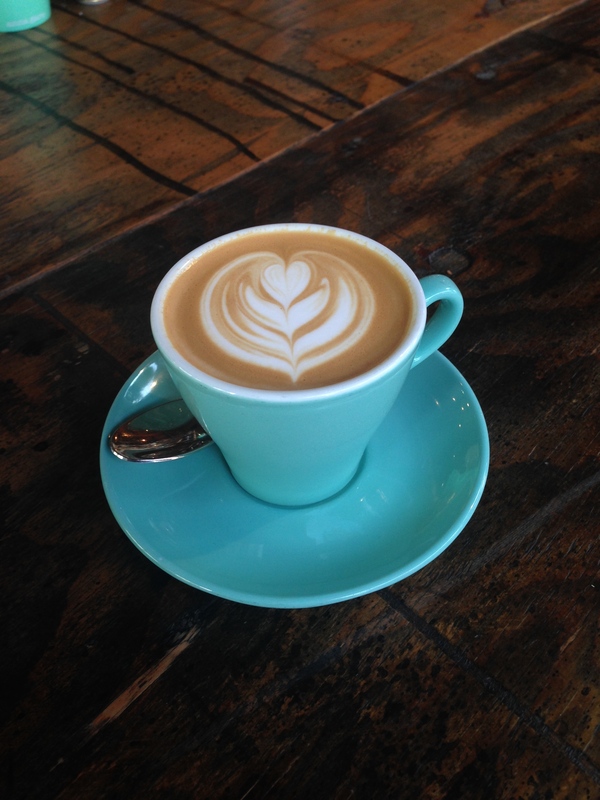 and i am definitely going to miss my coffee’s tasting like my proud mary flat white this morning! flavour was intense, strong and robust. and i love the crockery. 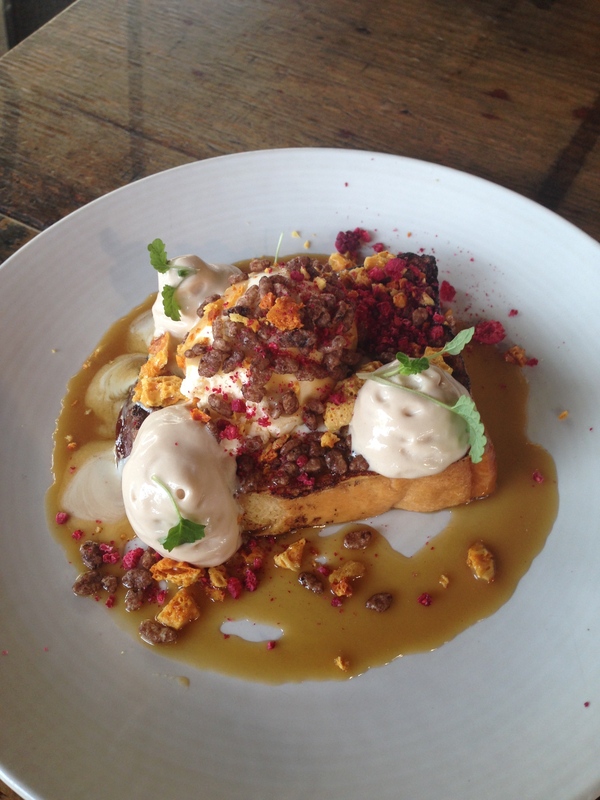 coco pop + salted caramel french toast with coco pop cream pat, vanilla ice-cream, salted caramel, honeycomb + raspberry crunch. this was like combining my favourite childhood cereal with my favourite adult breakfast! the toast was crispy and crunchy around the corners, but soft and fluffy on the inside. my favourite part was the crunch of the the coco pops and honeycomb . and the dehydrated raspberries added a really intense flavour. being 9am i didn’t really need the ice-cream, but the coco pop cream pat had a light chocolate undertone to it. i’m a huge french toast fan and this one was pretty good. 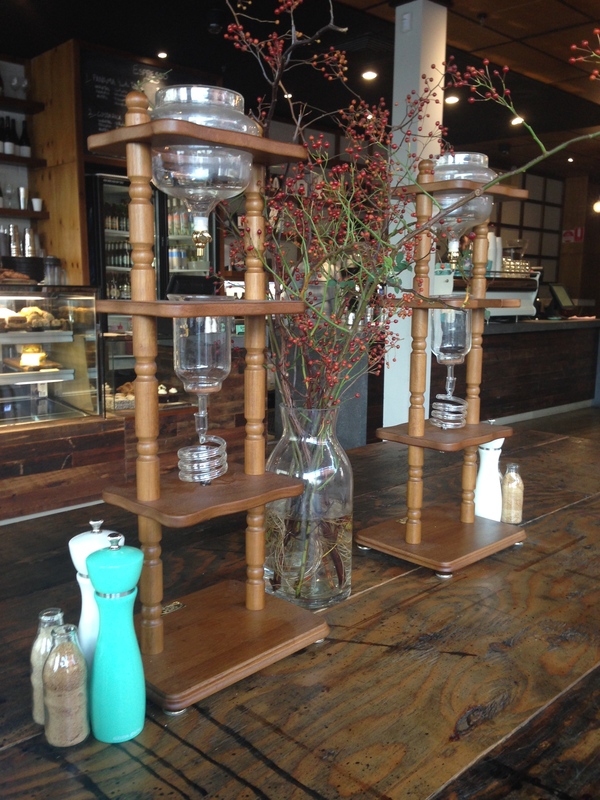 this trendy cafe is situated on brunswick st, very accessible by tram. the decor is gorgeous with a lovely bench against the front window and big communal tables. i love the turquoise + white table condiments and the staff were really friendly. i was also loving the soundtrack – probably the best music track i’ve heard in a cafe in a long time. verdict: they serve coco pops… enough said!